You deserve to be pampered and get treatments that enhance your natural beauty. Treuvís Eyes Nails Body Laser Spa in Clinton Township, Michigan, has a world-class nail salon with some of the most dedicated and knowledgeable technicians in the area who can improve the look and strength of your nails with acrylic tips. To schedule your luxurious nail service at Treuvís Eyes Nails Body Laser Spa, book your appointment online or call the spa directly. The right nail care can completely rejuvenate you, and it’s important to find the best type of nail service for your specific needs and desired outcome. Acrylic nails are a form of a faux nail that improves the look, shape, and strength of your natural nail. 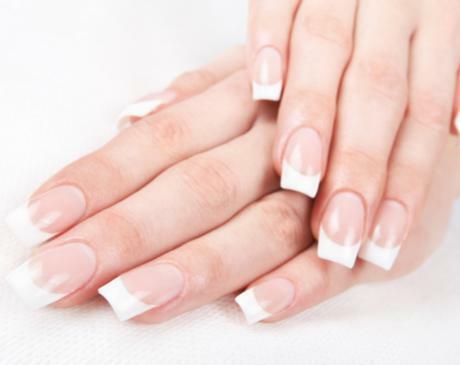 The nail care specialists at Treuvís Eyes Nails Body Laser Spa use acrylic nail overlays and extensions for those who are looking for longer nail lengths or different shapes, such as stiletto, coffin, almond, ballerina, square, round and soft square. The acrylic nail enhancements at Treuvís Eyes Nails Body Laser Spa incorporate premium CND and Tammy Taylor products that the nail experts believe are the best products on the market to enhance your nails, and don’t forget the talented nail techs can give you personally detailed nails with hand painted nail artwork and Swarovski crystals for that extra bling! How often do I need a nail treatment for my acrylics? Nail treatments and services at Treuvís Eyes Nails Body Laser Spa are known for helping people feel invigorated and less stressed. It’s common to come in every 2-4 weeks for nail treatments. To help maintain your acrylic nails, the nail technicians at Treuvís Eyes Nails Body Laser Spa recommend you come in for maintenance care bi-weekly for the best results. However, your acrylic nails are strong and can keep your nails looking beautiful up to 2-3 weeks with normal wear. What should I do if I break a nail? Even though your acrylic nails are strong, breaks happen. If you break a nail before your next scheduled visit at Treuvís Eyes Nails Body Laser Spa, the caring nail technicians offer flexible scheduling and walk-in visits for quick nail repairs. The team can have you in and out in no time. Appointments are not always necessary but are suggested for bi-weekly nail maintenance. How do I get a polish change? Sometimes, a quick polish change is all you need to reinvent yourself. The nail team at Treuvís Eyes Nails Body Laser Spa welcome walk-in visits for polish changes with OPI and other premium nail lacquers. 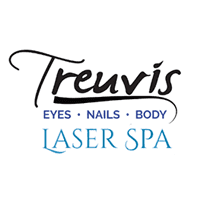 To schedule your acrylic nail enhancement services at Treuvís Eyes Nails Body Laser Spa, request an appointment online. You can also call the spa to book.